At my dental office in Mill Creek, we are asked this question a lot. There are some injuries that absolutely require you to head straight to the hospital. However, the majority of dental problems should be seen by a dentist. But how do you know which is which? Basically, the type of injury dictates where you should head to get treated. Before you decide where you should go to get treated, it’s important to know which type of injury is usually seen at a hospital and which is seen by your Mill Creek dentist. 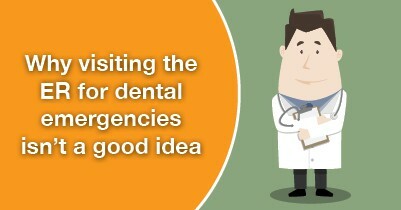 At my Mill Creek dental office, we will absolutely help you through any dental emergency. We’re also big supporters of prevention and one key way to prevent a dental problem from occurring in the first place is to brush and floss everyday, keep up with your regular appointments at our office, wear a mouthguard while playing sports, and watching what you eat (easy on the popcorn! ).